Being a member of WACADA means you’ll have access to several professional development opportunities. Congratulations to our most recent grant recipients: Whitney Moulton, Nichole Miller, & Kelsi Meyer! You could be next! Learn more below. Advisors are responsible to their professional role as advisors and to themselves personally. 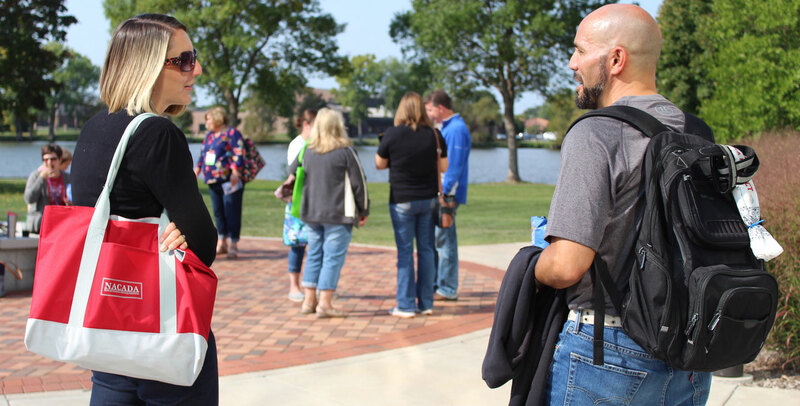 The Wisconsin Academic Advising Association is committed to assisting member participation in professional development opportunities by offering grants to members who wish to conduct original research or to attend classes, workshops, seminars or conferences. The number of grants awarded is dependent upon available funding. Grants are awarded by the WACADA Executive Board. The Board may award up to $250 for each grant. The Board must receive confirmation of acceptance of the grant before funds will be disbursed. Applicant must be a WACADA member in good standing. Previous grant recipients are eligible to apply, but will be considered after applicants who have not previously received a grant. Grant recipients will be announced in the newsletter/blog and at the annual WACADA Conference. The WACADA Board meets quarterly (usually January, March/April, July, November) and appreciates ample lead time to consider your request. Please submit your proposal well in advance of the professional opportunity for which you are seeking support. Questions about this timeline should be directed to the VP of Programs (see below). Applicant contact information: name, institution, department or office, your position title, status (faculty, staff, administrator, or student), mailing address, phone, e-mail. A brief description of the research or professional development activity for which this grant will be used. An explanation about how the activity relates to advising and how it will benefit you, your department, and the students you work with. An explanation about how you will share the professional development experience with colleagues at your institution, or at a seminar, workshop, or conference (such as WACADA or NACADA). Ideas to consider: Write a summary for a WACADA blog post, record a short video for WACADA social media, submit a presentation proposal for a WACADA conference or Professional Development Workshop (PDW), NACADA regional or national conference, or a NACADA publication. A detailed list of budget/costs and indicate how you’re funding other portions of the activity (i.e., department support, other grants, personal funds). How much are you requesting? A maximum of $250 can be awarded, but you may request a lessor amount.